Leaving an abusive marriage is a very difficult experience in many different ways. If your spouse is abusive to you or your children, you may fear that he or she will retaliate if you leave. You may also be concerned about financial problems, especially if you depend on your spouse for monetary support. Fortunately, North Carolina law offers certain protections to men and women who are struggling to escape domestic violence. If you need immediate assistance with protection or shelter, contact Wake County’s Interact hotline at 919-828-7740. To discuss your legal options, contact Raleigh domestic violence attorneys [firm-name], at 919-833-1040. Request a temporary or ex parte order. If the judge feels that you or a minor child is in danger, you may be granted an order without a court hearing. This will expire after 10 days. If you are not granted an order right away, you will need to appear at a hearing. Your spouse may be there to defend himself or herself. However, if the judge feels that your spouse’s presence would be a threat to you, he or she may waive this requirement. If you need a protective order that will last longer than 10 days, you will need to appear in court for a second or third time. If the judge is persuaded that you or your children have been abused, he or she may grant you a year-long restraining order. A restraining order can legally require your abuser to leave your home, cease all contact with you, and stop all harassing or interfering conduct. 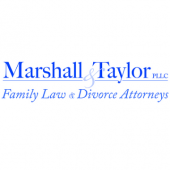 It can also make provisions for child support, spousal support, child custody, and visitation. A Raleigh restraining order attorney can help you obtain the protection you and your family need. To learn more, contact the [firm-name], at 919-833-1040.